What Is Health: "In Case Of Emergency Melting Chocolate Mug Cake!" 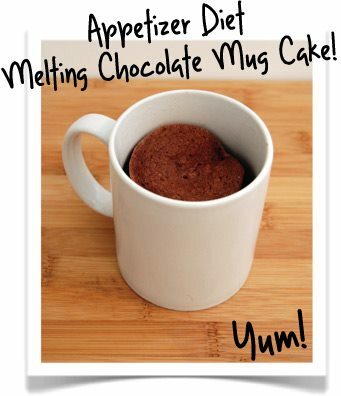 "In Case Of Emergency Melting Chocolate Mug Cake!" Give this one a try, satisfy your cravings with CAKE!!! Yes, really, it works and you will love it. In a bowl whisk egg and milk to combine. Add the rest of the ingredients and mix well. Spray the inside of a microwave-safe mug with non-stick spray. Pour batter into mug and microwave for approximately 45 seconds up to 2 minutes. Cook time will vary depending on your microwave power and desired consistency.